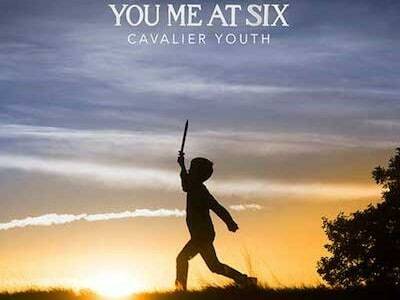 Surrey boys You Me at Six have come a long way from their humble beginnings when formed in 2004. For those that don’t know, the lads broke into the mainstream when they opened for Paramore in 2009 and ever since it’s been non-stop and now we’ve arrived at their fifth since ‘Save It For The Bedroom’. 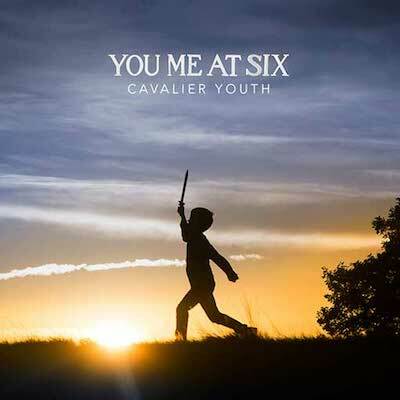 If you’re a fan of modern British rock music, then you are going to love ‘Cavalier Youth’, and it’s a simple as that. If you’ve heard the single, ‘Lived A Lie’ you’ll know that the boys have pushed and developed their sound and they continue to prove their skill through this chart-topping record. The album opens with ‘Too Young To Feel This Old’; the guitar feedback before the song breaks gets us all really excited and by the second chorus we are singing along proudly. ‘Fresh Start Fever’ starts with a chilling piano sound giving way to a range of influences and ideas – one of their best ever, for sure; this song is dynamic and poetic at the same time while mixing the old, slightly heavier sound with something new, and more polished. ‘Forgive And Forget’ is definitely the alternative ballad for this album, taking influence from previous anthems ‘Stay With Me’ and ‘Liquid Confidence’ – it’s definitely our favourite of the record. We think this album is a huge musical milestone for the band, it shows how they’ve matured, and become a powerful stadium rock force. We hope for nothing more than another decade-plus years of You Me at Six gracing the music scene.